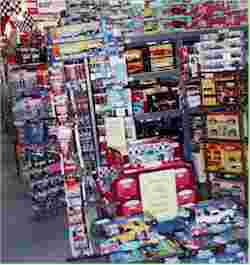 Please feel free to browse.We carry a diecast selection in MUSCLE, CLASSIC, EXOTIC, TV-MOVIE, NASCAR, NHRA, MUSCLE MACHINES, GMP SPRINTS, INDY, FORMULA, ROAD COURSE, MODIFIES, MATCHBOX, HOT WHEELS, JOHNNY LIGHTNING.We carry many retired or out of production items. PLEASE MAKE CHECKS AND MONEY ORDERS OUT TO: GAIL WILLIAMS. "PLEASE READ POLICY before ordering", it will answer most of your questions, including shipping. ***** "ALL SALE & CLOSE OUT ITEMS ARE FINAL and AS IS. No EXCEPTION." ***** Thank You....... ORDER ONLINE 24 / 7 ...... Customer Service & Phones: Hours 10am -6pm est. and Closed SATURDAY and SUNDAYS. NOTE : SORRY WE DO NOT SHIP INTERNATIONAL, BUT DO SHIP TO CANADA.......SHIPPING/HANDLING prices are for the NOTE: 48 Continental US States to a STREET ADDRESS ONLY (NO PO BOXES Exception: We will ship to US Post Office Box only if there is no other way for customer to receive item. There is a $1.50 per item surcharge).NOTE:THERE ARE TIMES BECAUSE OF YOUR LOCATION THAT SHIPPING IS MORE THAN WHAT IS SHOWN AND THEN AT THAT TIME, WE WILL REQUEST THE DIFFERENCE IN THE COST TO SHIP YOUR ORDER OR A REFUND WILL HAVE TO BE MADE. THANK YOU. We DO suggest shipping to a business(your work) if possible, so someone actually signs for the shipment.NOTE: We are a Mail Order Business, and do not have a customer pick up. 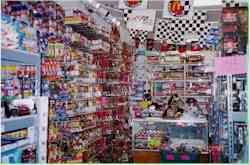 Get the car or cars you have owned.Chose from thousands of beautifully reproduced diecast cars. Decorate your home or office with these highly detailed replicas.Please feel free to browse for the car of your dreams.